Your lifestyle can have a major impact on your health as you age. In fact, although scientists have yet to develop a cure for Alzheimer’s disease, recent research has shown that various lifestyle changes can reduce the risk for the disease and combat cognitive decline. Managing a healthy sleep schedule, maintaining low stress levels, exercising on a regular basis and eating nutritious foods can all help boost memory and cognition as you age. In addition to creating a healthy lifestyle for yourself, studies have discovered certain vitamins and minerals can help protect brain cells and reduce the risk of developing dementias such as Alzheimer’s disease. Vitamin B6: As an essential part of brain development, vitamin B6 helps produce neurotransmitters, or chemicals that help the brain and nerve cells communicate with each other, as well as increase red cell production. Vitamin D: Vitamin D has been a proven mineral for brain development throughout every stage of life. Women who are pregnant need vitamin D to promote proper brain development for the baby. As children, we need vitamin D for continued brain development. Then as adults, new studies have shown the connection between vitamin D levels and the prevention of cognitive decline. According to research, adults over the age of 65 with low levels of vitamin D have four times the risk of cognitive impairment compared to adults who maintain optimal vitamin D levels. This is linked to the function of vitamin D receptors found in the central nervous system and the hippocampus (memory center of the brain). Additionally, vitamin D has been proven to promote nerve growth in the brain. Vitamins C and E: Adults already diagnosed with Alzheimer’s or dementia have been found to have vitamin C and E deficiencies. 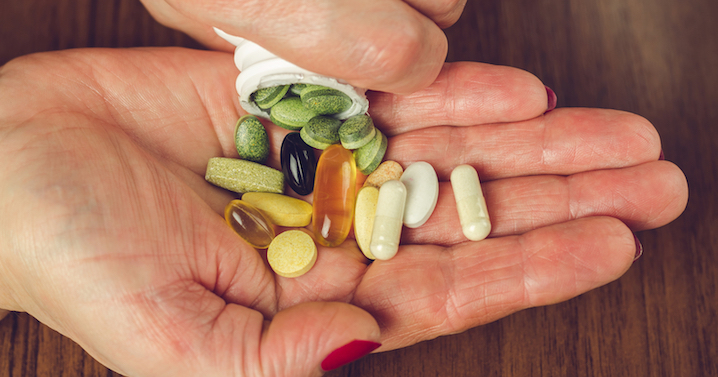 Although there is no proven connection demonstrating that having low levels of Vitamins C and E is a cause for the disease, one study did find that the combination of these two minerals together helped reduce the risk of dementia by nearly 60%. Vitamin C, in particular, assists in detoxifying the brain by removing heavy metals found in the blood. Folic Acid and Vitamin B12: The combination of these two vitamins is used to combat elevation in homocysteine and methylmalonic acid that can impair brain function in aging adults. It has been proven that a high elevation in these two components can lead to significant cognitive decline and in some cases, Alzheimer’s disease. Increasing levels of B12 and folic acid can reduce the risk of brain shrinkage and dementia or Alzheimer’s in older adults. Zinc: Zinc is an essential mineral with many benefits for human health, including fighting cancer, improving skin, aiding in wound recovery and shortening the length of the common cold. Brain health is another major benefit of Zinc. Scientists have found that proper levels of zinc can create stronger communication between neurons and the hippocampus, improving memory and cognitive learning capabilities. Phosphatidylserine: This super vitamin is a natural type of fat that occurs in the body. Over half of the body’s phosphatidylserine lives in the brain, where it acts as a gatekeeper, regulating the flow of what gets in and out. By keeping toxins and pathogens out of the brain and filtering nutrients, water and oxygen into the brain, Phosphatidylserine supplements can protect aging adults nerve cells from degenerating. At Immanuel Lutheran Communities our goal is to create good nutrition, tastefully. We encourage our residents to maintain a healthy lifestyle through meal planning, social activities and wellness programs tailored to meet each individual resident’s needs. Learn more about our Life Plan Community or contact us today for more information.